Ferdinand - Available as a download or stream? 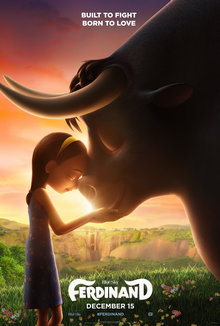 The latest 3D computer-animated comedy film from Blue Sky Studios, "Ferdinand", will be released to cinemas on December 15th, 2017. The film is directed by Carlos Saldanha, best known for his direction of animated franchises like "Ice Age" and "Rio". The voice cast features John Cena, Kate McKinnon, Gina Rodriguez, Daveed Diggs, and Gabriel Iglesias.